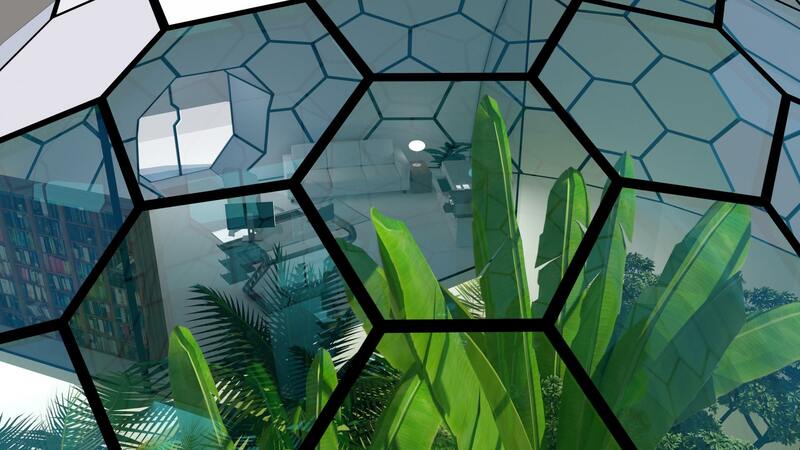 Our company Biodomes designs and builds custom, one-of-a-kind glass, metal and concrete geodesic domes. 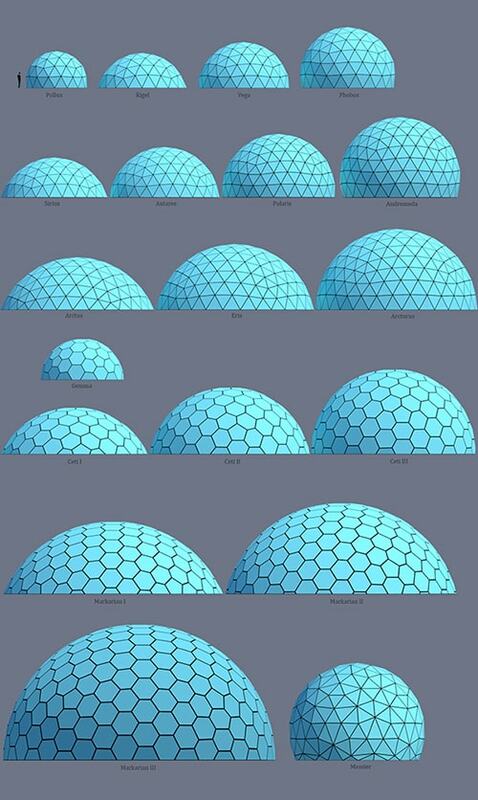 We offer over 20 different geodesic dome models that can be sized and customized in a number of ways. 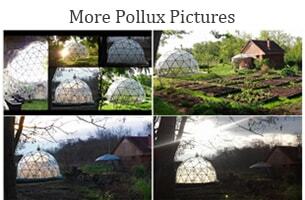 We also build earth sheltered, green roof geodesic domes that can be insluated to passive house standards. Our goal is to create structures whose function is as important as their form, buildings that are beautiful and functional at the same time. 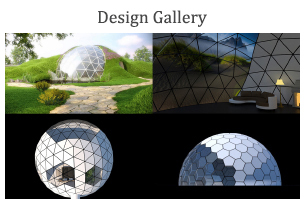 Earth sheltered, glass geodesic domes represent the ultimate sustainable passive eco homes of the future and the timeless design and alluring aesthetics of geodesic domes offer unsurpassed versatility, they can be designed as ultra modern passive eco-homes, recreational spaces, indoor pools, glamping and luxury resorts, greenhouses, stellar observatories - the possibilities are endless. 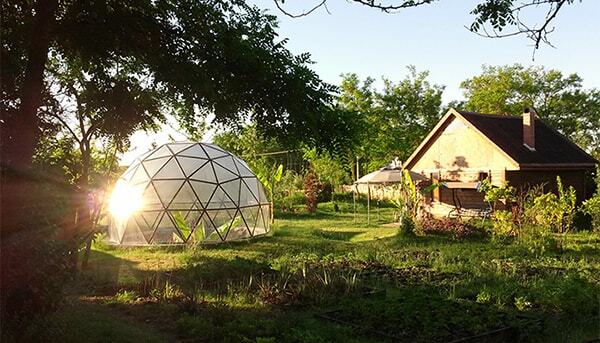 Aside from their natural beauty, dome homes also have many structural advantages. Geodesic dome homes have been built around the world in varied climates and have proven to be the strongest and most efficient human shelter ever conceived. Geodesic domes are the strongest, lightest and most efficient means of enclosing space known to man, they are extremely strong for their weight due to their omnitriangulated surface that provides an inherently stable structure, with a natural resistance to external factors like earthquakes up to 8.5 on the Richter scale , winds up to 320 km/h due to the aerodynamic shape and loads up to 20 tones per point of structure. 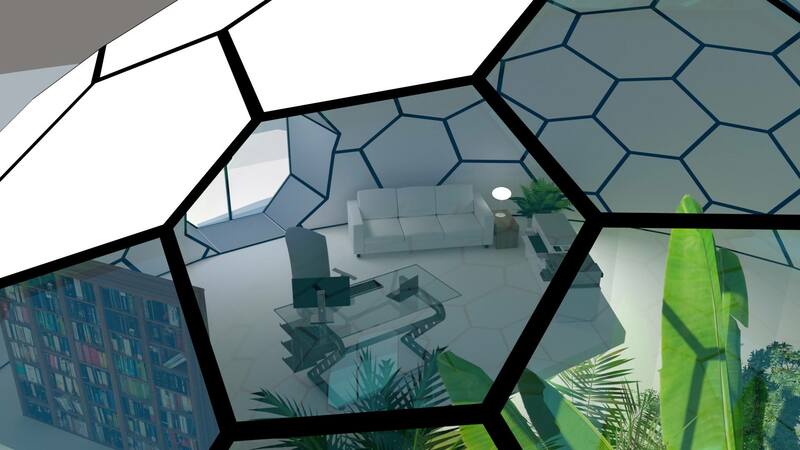 The Geodesic dome house utilizes the power of natural geometry to make incredibly efficient structures. 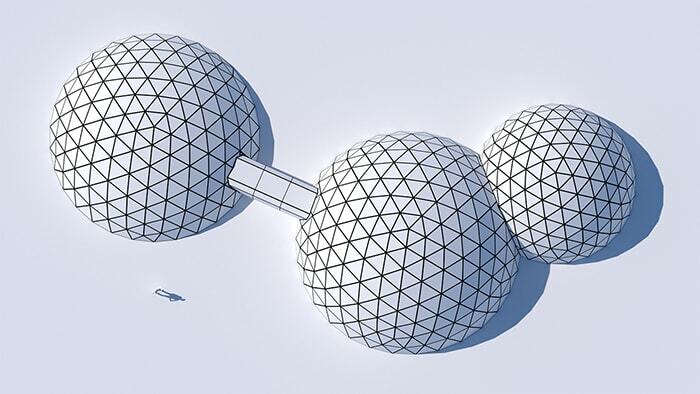 Geodesic domes homes are three-dimensional structures using stable triangles approximating spheres to create multiple load carrying paths from point of load to point of support. Triangles are the strongest shape because they have fixed angles and don’t distort very easily. The triangle is the only arrangement of structural members that is stable within itself without requiring additional connections at the intersection points to prevent warping of the geometry. In other words, apply pressure to one edge of a triangle, and that force is evenly distributed to the other two sides, which then transmit pressure to adjacent triangles. 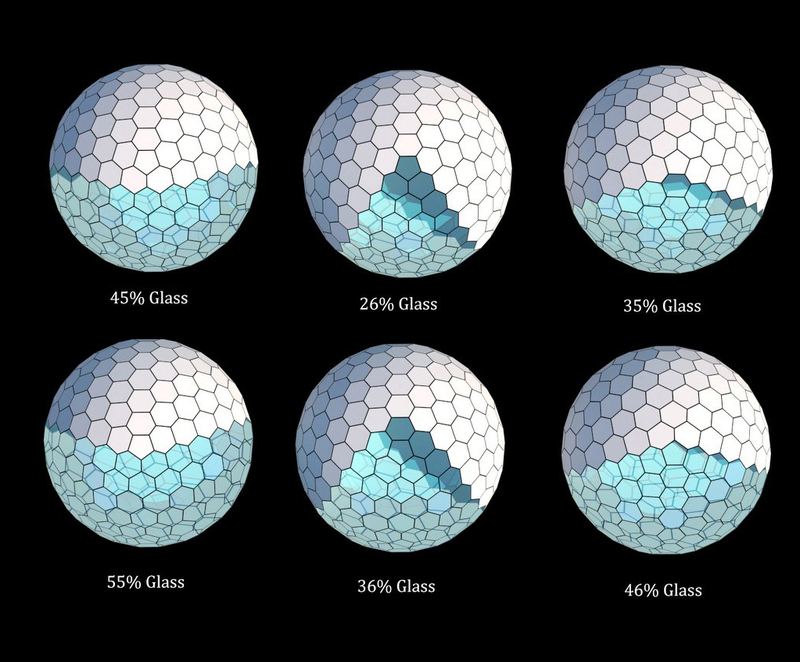 That cascading distribution of pressure is how geodesic domes efficiently distribute stress along the entire structure. 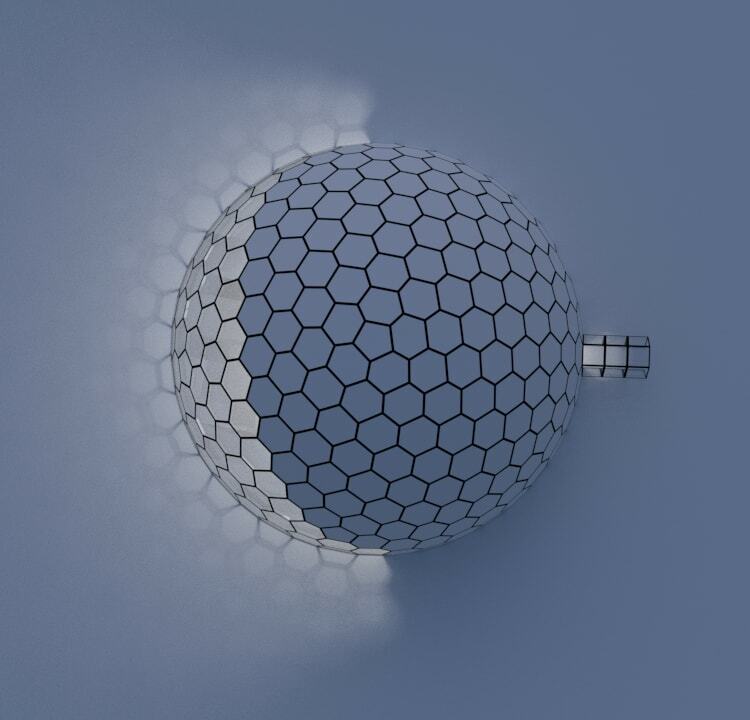 The spherical design results in highly efficient and effective air circulation in both summer and winter. Less surface area makes the dome house less susceptible to temperature changes, and thus, inexpensive to heat and cool as compared to conventional, rectangular homes. The aerodynamic exterior means that cold and warm air flows around the dome house instead of forcing its way into the interior. The dome homes mirror the suns path thus maximizing solar gain all day, all year and they also distribute perfectly heat and sounds. 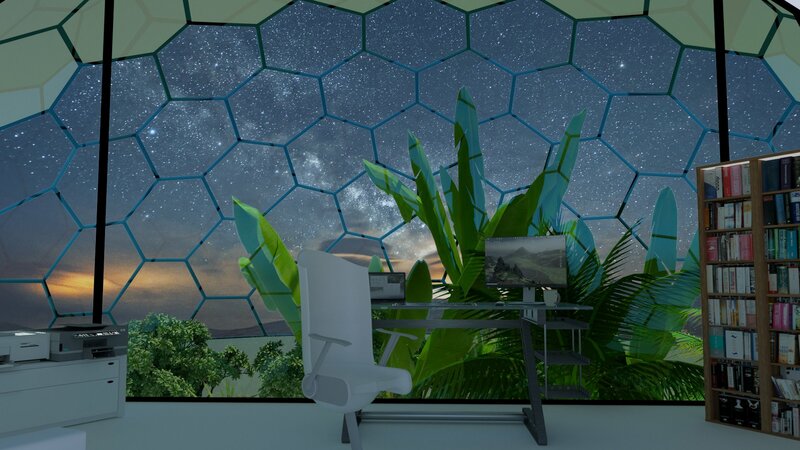 There are two reasons why geodesic dome homes are energy efficient: The ambient airflow inside the dome house is continuous, with no stagnant corners, requiring less energy to circulate air and maintain even temperatures. The energy required to heat and cool a dome house is approximately 30% less than a conventional building. The second is the high volume-to-surface-area ratio, requiring less building materials to enclose more space. The lower the ratio of a building’s outside perimeter to its enclosed living area, the less energy is required for building, heating and cooling. 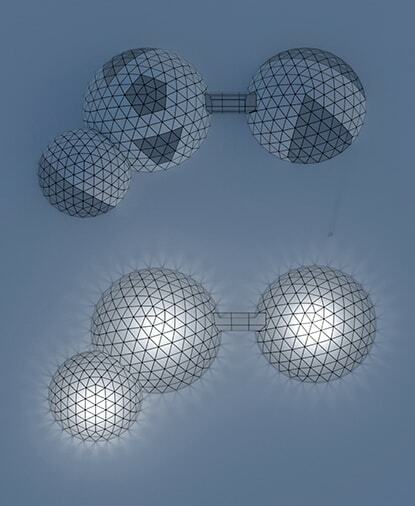 The sphere has 25% less surface area per volume enclosed than any other shape. The geodesic dome house combines the inherent stability of triangles with the advantageous volume-to-surface-area ratio of a sphere. The larger the dome house, the more efficient it becomes. This is demonstrated by doubling the diameter, which encloses eight times the volume. Given the inverted circular design of the dome house, the dissipation of energy is also carried out in a highly efficient manner. This means that the various sections of such a dome house can be rapidly heated and cooled in an even manner. 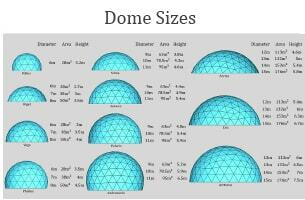 Dome homes offer the best structural integrity when compared to other styles of construction. This is perhaps why they have been in use since the ancient times, when building stronger and long lasting structures was a priority. The above features of dome buildings have become widely accepted in the modern construction industry and have revived the trend of such structures making them the best option for futuristic and modern architecture. 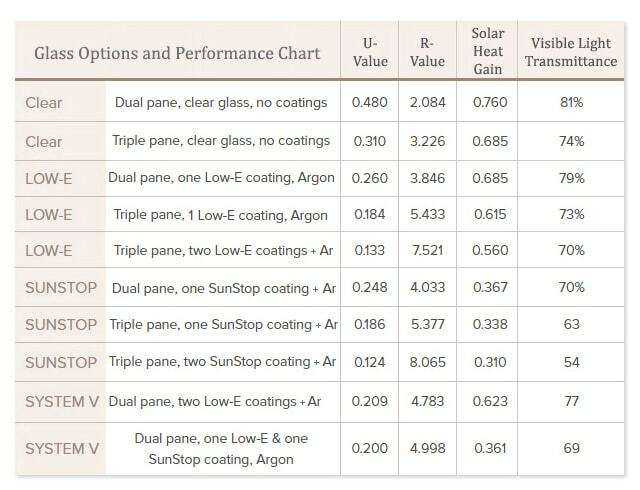 For glazing we have many options, from laminated 4x4mm toughened glass to double or triple glazing with Low-E, SunStop coatings and Argon gas. For shading and privacy, we have magnetic shades or one high-tech option is Switch glass, which at a push of a button switches back and forth between a clear window panel and a non-transparent opaque panel. On the parts of the dome that don't require transparent glass we use SIPs (Structural Insulated Panels) made from composite materials that offer high thermal insulation. 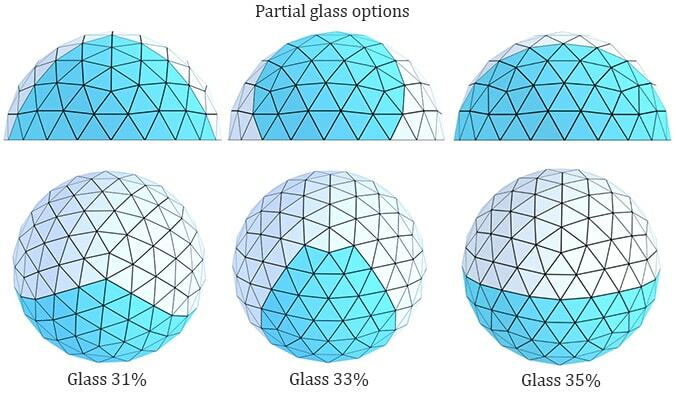 For these panels we can use a variety of materials both on the inside of the dome and the outside, materials rangeing from opaque glass on the outside and wood on the inside of the dome. 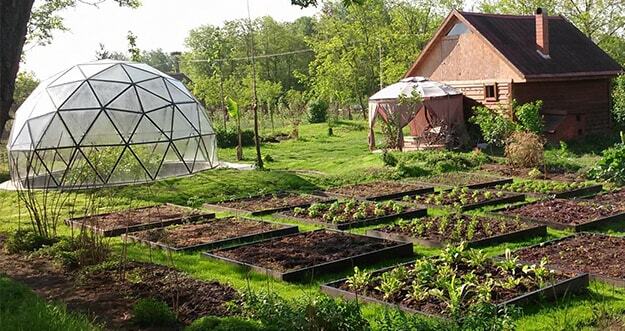 For the grass roof domes, we use a concrete/aircrete monolithic shell on top of the metal frame that offers extra structural strength and also thermal and hidro insulation. Partial green roofs are recomended for eco homes since they can be much better insulated, up to passive house standards. The doors and windows are all custom made, depending on the clients preferences and on the dome type. Any triangle or hexagon can be converted in a hinged window or a we can mount an iris diaphragm for ventilation. 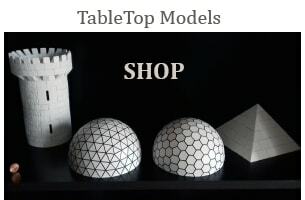 The number and type of doors and openings depends on the model and size of the dome, trianglulated ones having more options for metal frame cutouts since they are more structuraly stable then their hexagonal counterparts. Personalized Architectural and Design services starting from 500 euros for photo-realistic renderings, animations and interior design. 1. 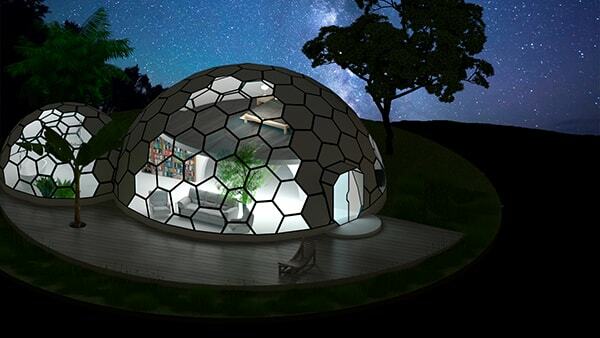 Dome homes are the strongest human shelter ever conceived. The spherical and symetrical shape allows domes to evenly and efficiently distribute the weight and stress along the entire structure. 2. Dome homes are the world's highest earthquake resistant structures. And they dont require any interior load bearing walls. 3. Dome homes are aerodynamic. They can withstand hurricane winds in excess of 320 km/h. 4. Dome homes are the most efficient structures known to man, covering the most living area with the least amount of surface area. 5. Because of the high volume-to-surface-area ratio dome homes have at least 30% less surface area than other shaped buildings. That means it takes at least 30% less energy to heat or cool them. 6. 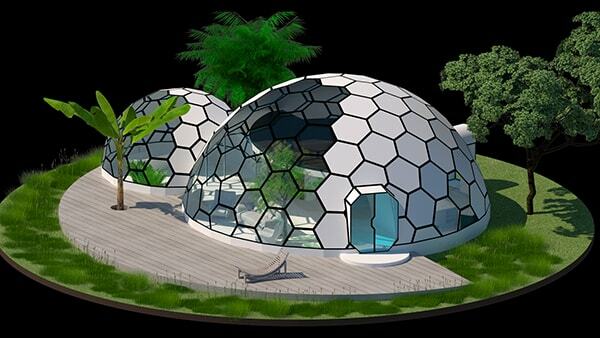 The spherical design of a dome house results in highly efficient and effective air circulation. The ambient airflow inside the dome house is continuous, with no stagnant corners, requiring less energy to circulate air and maintain even temperatures. 7. 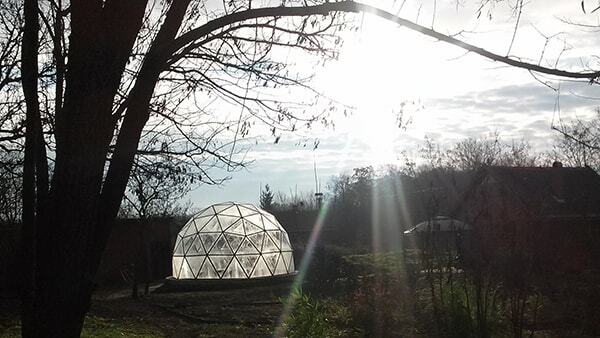 Dome homes mirror the suns path thus maximizing solar gain all day, all year. 8. Some of the largest buildings in the world are domes; London’s millennium dome and the Eden domes were record breakers when they were built. The Miyazaki Ocean Dome in Japan is known as the world's largest indoor water park (300m-100m-38m). 9. Dome homes use less materials than conventional buildings and still outperform them in structural tests. 10. The larger the dome house, the more efficient it becomes. This is demonstrated by doubling the diameter, which encloses eight times the volume. 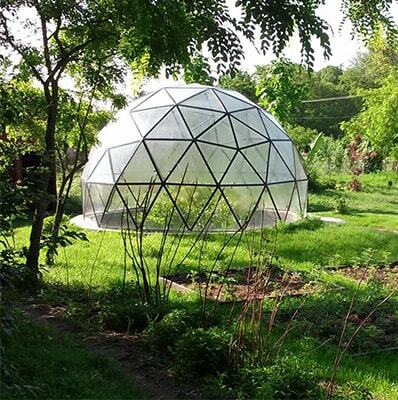 Domes have become increasingly popular over the last 20 years. In the past, it was rare to see a domed structure in a neighborhood, but that's not the case now. 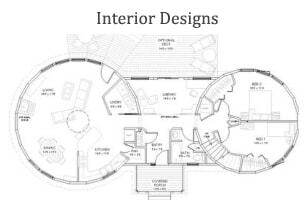 Today, we find homes that are constructed to look like a dome on the outside but mimic the space configuration of a rectangular home on the inside. 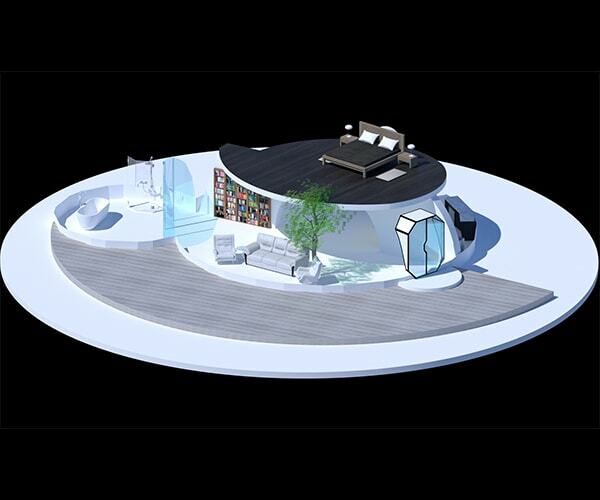 The design potential is through the roof (the geodesic roof, that is), but why are people choosing to build these out-of-the-ordinary homes over more traditional ones? An average domed structure is constructed using roughly one-third less materials than you might use for a similarly-sized, standard home. That's because they have 25 to 30% less surface area than the house next door. Domed homes produce the most living area with the least amount of surface area, making them less expensive overall to build. 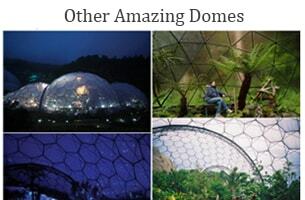 Biodomes are nearly five times stronger than an average home, even though they're constructed with glass and metal. Not only are they less expensive and require fewer natural resources to construct, but these unique structures can be built just about anywhere in the world. 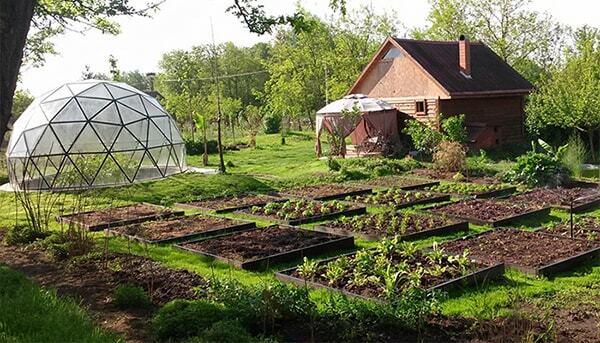 From frigid to tropical climates, biodomes are the perfect solution to varying landscapes and weather extremes. 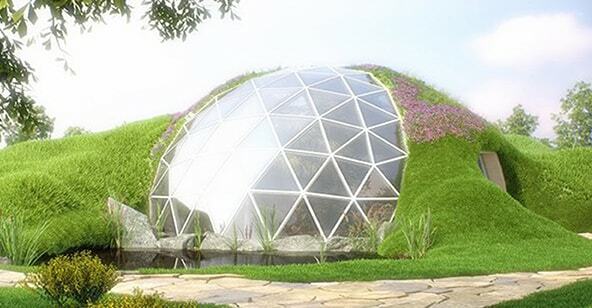 After all, a biodome is built to mimic the earth's most resilient shape: the sphere. 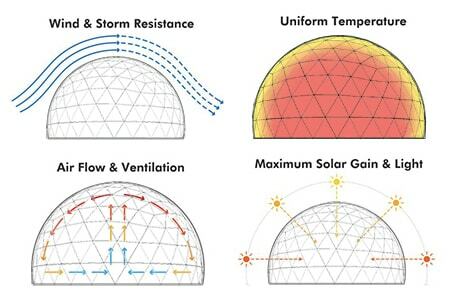 With one-third less surface area, biodomes transfer a third less heat to their surroundings as well, saving the average dome homeowner roughly 30% on their energy bills. Their aerodynamic shape allows wind to move harmlessly around them, as opposed to their rectangular-shaped cousins with multiple their corners and flat walls. They're not just aerodynamic on the outside, though. The air inside a dome is free to move around the structure with minimal obstructions that might cause inefficient flow. Because the air circulates so easily, the climate system doesn't have to work as hard, and the owner's heating and cooling bills are reduced. The larger the construction is, the more efficient the home becomes. Structural advantages aren't just important in regards to cost of materials. According to the United States Federal Emergency Management Agency, these homes are strong enough to withstand EF5 tornadoes and Category 5 hurricanes. They also maintain natural resistance to damaging earthquakes, including seismic events up to 8.5 on the Richter scale. In many cases around the world, the only homes to survive major earthquakes unscathed were geodesics. 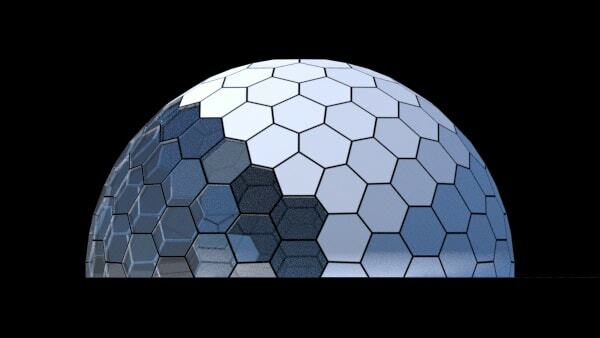 While concrete monolithic domes are statistically the safest structures, geodesic domes come in a close second. 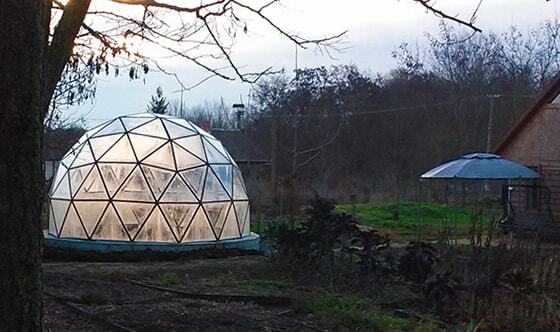 Geodesic domes have survived wildfires and direct hits from hurricanes across the globe. Schools are even starting to see the potential safety benefits of the dome structure. Bishop Nevins Academy in Sarasota, Florida was the first domed school in the state. With such promise, it's only a matter of time before more of these extraordinary homes start replacing our ordinary ones.